Spring is here and there are lots of great lodging packages and specials to take advantage of before Summer hits! 10% off English Inn Restaurant -Friday Fish Fry! $5 gift card Curt’s Oilerie & Spice Co.
5% off Renards Cheese Co. 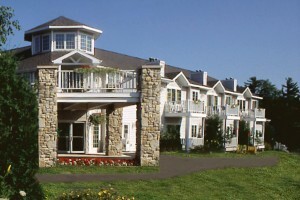 The Ashbrooke, an adult vacation resort hotel, let’s you get away from it all! Located in the heart of Egg Harbor, you’ll find yourselves just minutes from fabulous shopping, delicious food, and lots of activities and entertainment. 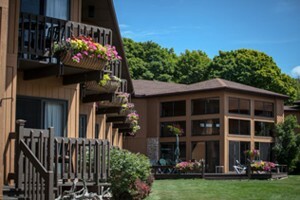 Book a package to add more to your Door County stay, and get a great deal when you stay longer! Date Night Package (Valid May 4 – June 22, 2017* except May 27 and 28): Slip away for a two- to five-night stay in one of the romantic Signature Rooms at The Ashbrooke. This package includes 15% off of the regular nightly room rate, a bottle of champagne upon arrival, and a $50 certificate to one of our favorite restaurants, Alexander’s in Fish Creek. Rates start at $152 per night, plus tax. Spectacular Trolley Tour (Valid May 9 – Oct. 27, 2017* except July 3 & 4): Perfect for first time visitors and long-time lovers of Door County. Enjoy two or more mid-week (Sunday-Thursday) nights at the regular nightly rate and receive a certificate for admission for two on the very popular Door County Trolley’s Narrated Scenic Tour, a 75-minute old-time trolley ride offering breathtaking vistas from Door County’s scenic bluffs overlooking the islands with legend and lore shared by your driver. Advance reservations for the tour prior to your arrival are encouraged. View the Door County Trolley website. To reserve this package, please click here. 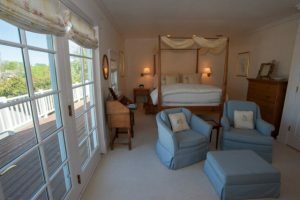 Suite Deal – Save More When You Stay Longer: With all of the incredible things to see and do in Door County, you simply can’t accomplish everything in just one or two days, so why not stay a little longer? Simply spend three to seven nights with us in any of our room types and receive a special rate. Special rate applies to the Sunday through Thursday night portion of stay. Blackout dates do apply. Play Golf at Horseshoe Bay Golf Club: Enjoy a round of golf at Horseshoe Bay Golf Club. Guests at The Ashbrooke can play golf for $99 per player at Door County’s only private facility, recently ranked the #4 Private Golf Club in Wisconsin. Beautiful views of the waters of Green Bay, rolling terrain and undulating greens make this course a test for all golfers. Please contact our office staff at 877.868.3113 for more information on this great addition to your stay. Season of Blossoms Wine Trolley Tour Package (Valid April 8 – May 27, 2017): This springtime getaway package for two includes a Friday and Saturday night stay, a $25 Door County Visitor Bureau gift certificate and a wine trolley tour with lunch. Board the Door County Trolley at the new Trolley Station in Egg Harbor on Saturdays at 10am for a private wine tasting experience at two award winning Door County wineries followed by a carriage ride in the quaint village of Fish Creek. The tour is topped off with a fabulous lunch at The English Inn. Package is for two people in a one-bedroom water view suite for two nights. Two weekend nights – $363+tax. *Room rates change May 12. Season of Blossoms Maritime Museum Tour Package (Valid April – June 4, 2017): Experience Door County’s nautical heritage with this package for two. Stay in one of our luxurious one-bedroom water view suites for two nights and receive two Door County Maritime Museum and tugboat tour passes. You will have access to the museum’s galleries plus a guided tour of the tug John Purves. You also receive a $25 gift certificate to the frozen yogurt bar and restaurant in Door County. Frozen Spoon is located right across the bay from the Door County Maritime Museum. Also included is a $25 gift certificate from the Door County Visitor Bureau to spend as you wish. Package is for two people in a one-bedroom water view suite for two nights. Two weekday nights – $223+tax; Two weekend nights – $263+tax. *Room rates change May 12. Season of Blossoms Cherry Hills Golf Package (Valid April – June 4, 2017 weather permitting): Experience one of Door County’s beautiful golf courses, Cherry Hills Golf Course. Cherry Hills is an 18 hole, par 72 public golf course. With gentle elevation changes, strategically placed bunkers and rolling greens, Cherry Hills provides skilled golfers a suitable challenge while remaining equitable for recreational players. You also receive a $25 gift certificate to Frozen Spoon, a yogurt bar and restaurant in Sturgeon Bay. Also included is a $25 gift certificate from the Door County Visitor Bureau to spend as you wish. Package is for two people in a one-bedroom water view suite for two nights. Two weekday nights – $248 + Tax; Two weekend nights – $288 + Tax. *Room Rates change May 12. Spring Midweek Special (Valid April 29 – June 9): If you stay three consecutive nights, Sunday thru Thursday, the third night at our Baileys Harbor hotel will be FREE! “Your Cup Runneth Over” Package: With your 2 night stay add – a Delicious bottle of Door County Peninsula wine in your hotel room; Door County wine tasting for two at Stone’s Throw Winery & complimentary wine glasses; a custom handmade wine cork from North West Designs; $50 gift certificate for a scrumptious gourmet dinner for two at your choice of Pasta Vino or Harbor Fish Market & Grille. The “Your Cup Runneth Over” vacation package rate of $80 will be added to your reservation. “Taste of Baileys Harbor” Package: This package is guaranteed to help you experience the fun available in Baileys Harbor! Included in the package: Two flights of beer tasting at Door County Brewery; $25 gift certificate for Baileys Harbor Cornerstone; $40 gift certificate towards any Lakeshore Adventures options such as kayak tour, paddleboard, charter fishing, jet ski rental; $25 Gift Certificate from the Door County Visitors Bureau to use anywhere in Door County! Rate: $99 added onto your two night booking. We also ask at time of booking if you want a growler of beer from Door County Brewery and two Door County Brewery glasses for $36 that will be in your refrigerator waiting for your arrival. Otherwise, there is beer and wine available in the office for purchase. Birchwood Lodge in Sister Bay is located within walking distance of shops, restaurants, bars, recreation, a grocery store and the beach/marina/waterfront park in Sister Bay! Book your stay in a Premier Suite with the Three Nights Special (available thru April 2017) and one of the week nights is free. Stay three nights in any other type of room and one of the week nights is 50% off. Staying longer? Ask about the Saving Paradise Special for savings on your stay of up to 6 nights! In addition to the following seasonal specials, ask about the Romantic Getaway, Wine & Dine, and Magic Delights Packages, and the Weekend Getaway Special! Mother’s day Special (Valid only during the month of May): Bring you mom with you as a guest at the Birchwood Lodge in the month of May and receive a 20% discount on the total cost of your room. In order to receive the special pricing, it must be mentioned when making the reservation. Spring Enchantment Special (Valid from March 21 – June 21 only!!! ): Take in the beauty of emerging blossoms and budding trees during the day, then relax later in one of our Premier Suites, which includes a double whirlpool tub, gas fireplace and cozy surroundings. Our indoor, heated swimming pool (with attached sauna) may be the spot where you start your day, or, just the place to relax after your daytime adventures. You design the schedule for your getaway and we’ll help make the experience more enjoyable for you with a $30 gift certificate toward food/beverages at Husby’s Food & Spirits and a $25 Door County gift certificate to use toward the purchase of a Door County treasure. We’ll even give you a 10% discount for the two nights stay as an extra bonus for your getaway. This special deal is available for additional $50 on the top of discounted room rate. Peninsula Century Rides (Valid June 17, 2017 & Sept. 16, 2017): You will receive a 10% discount on your room rate when you stay in a Premier Suite, equipped with a king size bed, whirlpool tub, gas fireplace, kitchenette, full bathroom and private deck/balcony. 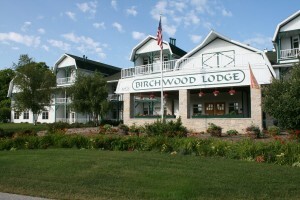 You will appreciate Birchwood Lodge for its close proximity to the after party establishments and Waterfront Park. Air compressor is available for our guests. Light continental breakfast is included. In order to receive the special pricing, it must be mentioned when making the reservation. Call for details and availability, some restrictions may apply. Door County Half Marathon (Valid weekend of May 6, 2017): Be our guest during your Door County Half Marathon event. You will receive 10% off your room rate for your stay in a Premier Suite with a king size bed, whirlpool tub, gas fireplace, kitchenette, full bathroom and private deck/balcony. Light continental breakfast is included. Take a shuttle from our lodge to and from the course at no charge. After your run, soak in your in-room whirlpool tub or take advantage of our sauna in the pool area. If you finish in first in the men’s or women’s division, your stay will be on us. If you finish second or third in the men’s or women’s division your stay will be 50% off. In order to receive the special pricing, it must be mentioned when making the reservation. Call for details and availability, some restrictions may apply. 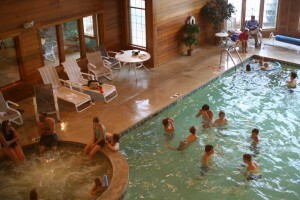 Bridgeport Resort in the center of historic Sturgeon Bay offers an array of on-site recreational amenities including indoor/outdoor heated swimming pools with an indoor splash park and playground for the kids, a whirlpool, a sauna, and a fitness center. A variety of Specials and Packages offer great rates and extras to add value to your visit! Mother’s Day Weekend Special (May 12-14, 2017): A weekend to pamper Mom! Includes Complimentary Sunday Brunch! Family Fun Package (Valid Jan. 2 – June 1, 2017): Kids Under Twelve Stay Free! Two Night Package includes $20 Gift Certificate to Sonny’s Pizza, Popcorn and Complimentary Movies. Romantic Package (Valid Jan. 2 – June 1, 2017): Two Night Package includes $30 Gift Certificate to Woldt’s Restaurant, and Romantic Gift Basket & Bottle of Wine. Season of Blossoms Package (Valid April 8 – June 4, 2017): Two Night Package includes $25 Door County Gift Certificate; $30 Gift Certicate to Woldt’s Restaurant; Romantic Gift Basket and Bottle of Wine. Mid Week Special Fall (Valid Sundays – Thursdays; Jan. 2 – June 8, 2017): Not Valid With Any Other Feature or Promotion. *Excludes Memorial Day. Stay Two Nights – 10% Off Daily Rates; Stay Three Nights – 15% Off Daily Rates; Stay Four or More Nights – 20% Off Daily Rates. Buy 2, Get 1 FREE (Valid March 1 – June 8, 2017): Stay Two Nights Get a Third Night of Equal or Lesser Value Free! Not Valid With Any Other Feature or Promotion. Subject to Blackout Dates and Holidays *Excludes Memorial Day Weekend. Weekend Hot Deals (Valid January 6 – June 4, 2017): Includes $20 Gift Certificate to Sonny’s Pizzeria! No Extra Person Charges! Two Night Minimum Stay. One Bedroom Suite From Just $109 per Night; Two Bedroom Suite From Just $129 per Night. Coachlite Inn in Sister Bay has rooms available for your dates! 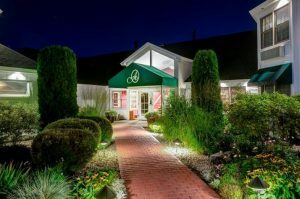 Set in the quiet of the pines, the Coachlite Inn offers the illusion of seclusion, while still being just half a mile from the heart of Sister Bay. Enjoy complimentary Door County Coffee and Tea in the lobby and the Deluxe Continental Breakfast, and soak in the whirlpool, sit by the Koi filled garden pond, use the ring of fire, or cook on the BBQ grill. Internet Only Special (Valid June 10-20 and Aug. 21-Sept. 1, 2017): Receive $10 off all room rack rates and $20 off all suite rack rates. Must mention Special at the time reservation is made. 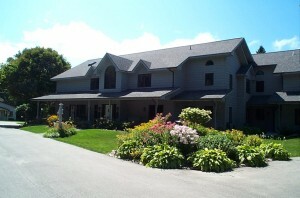 Country House Resort in Sister Bay is an adult retreat and a perfect place to get away from it all. 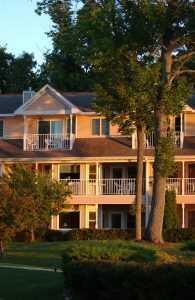 Nestled on 27 secluded, wooded acres on a rolling bluff with 1,100 feet of Green Bay shoreline, we cater to adults and provide privacy to those who savor it. Our Specials are our all-around best deal – guaranteed, and are available only by booking directly with the resort and will not be offered elsewhere. Specials/packages not combinable with other offers. Spring Blossom, Dining and Relax Package (Valid May 5 – June 15, 2017): Enjoy two nights lodging in a room or suite. Your choice of dinner for two at the Sister Bay Bowl Supper Club or Alexander’s Restaurant of Fish Creek. Both include a retail value of up to $40. Package also includes two half-hour massages at The Spa At Sacred Grounds; an arrangement of fresh cut flowers; a $25 Door County Gift Certificate which may be redeemed at shops, specialty stores, galleries and restaurants throughout Door County. Price varies with room selection and days of the week: $363 – $723. Spring Mid-week Special with Dinner (Valid May 7 – June 15, 2017, *excluding Sundays May 28 & Sep 3): Book Directly with us and Save 10% Plus Receive a Dinner for Two when Staying Three Nights. Dinner is served at Alexander’s Restaurant or Sister Bay Bowl. Dinner certificate has a retail value of up to $40. Advance reservations are required. Check for black out dates. Spring Mid-week Special (Valid Sunday-Thursdays, May 7 – June 15, 2017. *excluding Sundays May 28 & Sep 3: Book Directly with us and Save 10% when Staying Two Nights. Cannot be combined with any other specials or promotions. 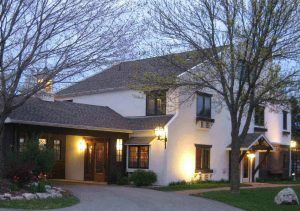 Get Away To Romance Package (Valid thru May 4, 2017): Two Night stay for two in a water-view room or suite with Choice of a two person massage package at The Spa At Sacred Grounds OR a Door County gift basket; a $25 Door County Gift Certificate; and either a Candlelight Dinner for 2 at the White Gull Inn OR Dinner at Alexander’s Restaurant (retail value of $50). Packages from $380, rates vary with room selection. Getaway Special (Valid thru May. 4, 2017): Stay Three or More Nights and Receive Dinner for Two. During our quiet season, enjoy the beauty of a different Door County – quiet, tranquil, relaxing. 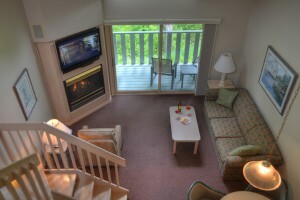 Walk the woods, ski the trails, skate a rink, visit a gallery, snuggle by the fire, soak in your in-room whirlpool. Dinner is served at the White Gull Inn or the Alexander’s Restaurant. Dinner certificate has a retail value of up to $50. Advance reservations are required. Check for black out dates. 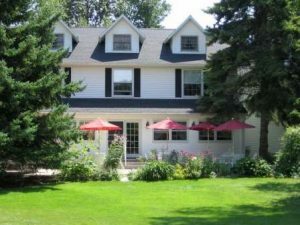 Eagle Harbor Inn is located across from the Bay, on the main street in Ephraim, this delightful Bed & Breakfast Inn offers elegant Whirlpool Suites with kitchenettes and B&B rooms, providing a perfect balance of quaint charm with many resort amenities. Check out these great Special Offers and Packages to enhance your stay! Say It With Flowers Package: A striking bouquet with fresh seasonal flowers and a personalized card, will welcome your sweetheart and say it all! Please call us with 24 hour notice to add to your reservation. Arrangements for package start at $35. Door County Culinary Weekend: A LA CARTE COOKING CLASS – ANY TIME! Pick your date and bring a minimum of 4, or max of 8 people. Choose from 4 menus which you will learn, prepare & eat! Choose your date, weekday or weekend, $90/per person. Call us to book your Room & Class! Door County Half Marathon Participant Discount (Valid the weekend of May 6, 2017): As a proud sponsor of the Door County Half Marathon, we salute all those who set before them the challenge of being a finisher at the 2016 Door County Half Marathon! To show our support of you: TAKE 15% OFF YOUR SUITE RATE if YOU ARE A RACE PARTICIPANT STAYING 2+ NIGHTS AT EAGLE HARBOR INN! (B&B not discounted). In order to qualify you must mention this offer at the time you make your reservation: It will not be applied after the fact or when on property. It cannot be combined with any other offers. Available only to race participants only. Creative You! Discount: We are as excited about you learning new ideas and to offer celebration and encouragement we extend a 5% discount if you enroll in a Peninsula Art School Summer Class! (Even if we can’t get to scheduling them, we want you to!) Please mention this package offer and we will apply the 5% discount for stays of 3 nights or more. Tranquil Spa Retreat (Valid when Winter Rates are in effect Jan. 2 – April 30, 2017, excluding holiday periods): Saguaro’s Day Spa and Glidden Lodge have teamed up to deliver the most tranquil off-season package yet! Upon arrival you will be presented with a spa certificate (a $60 value) for your choice of massage, body wrap, manicure, pedicure, steam therapy, and much more! After pampering yourself at the spa come back to Glidden Lodge and escape to a scenic suite overlooking Lake Michigan with in-room whirlpool and fireplace to help ease your cares away. Crazy Little Thing Called Love (Valid when Winter Rates are in effect Jan. 2 – April 30, 2017, excluding holiday periods): Wine and roses await your arrival! 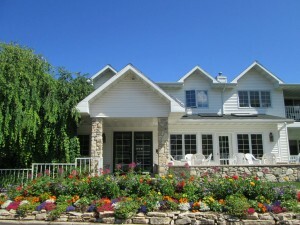 Whether it’s you and your honey, 2 couples, or your entire family, all sweethearts will enjoy the fabulous accommodations and the included $40 dinner certificate to Donny’s Glidden Lodge Restaurant, voted by the readers of Door County Magazine as having the best setting in all of Door County! Wine Lovers Package (Valid when Fall, Winter, or Spring Rates are in effect now – June 10, 2017, also excluding holiday periods): Glidden Lodge has teamed up with some of the BEST wineries Door County has to offer! Upon check-in you will be given $50 worth of gift certificates to be used at one or more of the following: Door Peninsula Winery, Orchard Country Winery, Red Oak Winery and Simon Creek Winery. 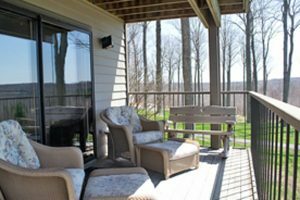 Season of Blossoms Package (Valid April 8 – June 4, 2017): Spring into romance: Enjoy two nights in one of the romantic, luxury suites at the Hillside Inn of Ephraim. A gift basket from Top Shelf of Sister Bay will greet you as you step into a weekend of luxury. Curl up in one of our terry cloth robes, while our staff treats you to a full English tea service on your second afternoon with us and that evening, enjoy a wine tour and tasting at Orchard Country Winery followed by a dinner at the restaurant of your choice using a $25 gift certificate from the Door County Visitor’s Bureau. A dream, romantic retreat weekend for two! $675 for two night stay in waterview suite. April Special: SPRING IS HERE!! It’s time to ditch those Winter Blahs and enjoy the beginning of beauty in Door County. Stay 2 nights and get the 3rd night FREE! Book your stay TODAY! 888-868-3556 Valid on phone reservations only. Weekends in May Specials: Enjoy these great specials when you stay weekdays (Sunday – Thursday, May 1–25, 2017). 3 NIGHT STAY FOR 2 = $279.00; 4 NIGHT STAY FOR 2 = $359.00; 5 NIGHT STAY FOR 2= $419.00. Must mention special when making reservation to receive special pricing. Not valid on existing reservations. Must make reservation between 3/31/2017 and 4/30/2017. Valid on phone reservations only! Call Now! 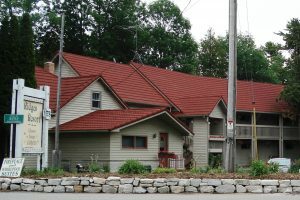 Homestead Suites is located on Main Street in the heart of Fish Creek. 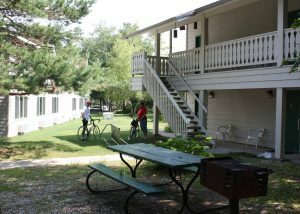 With Peninsula State Park as a backyard, you can practically bike, hike, walk, snowshoe, or ski right from your hotel room or condo door. Festival of Blossoms Package (Valid May 12 & 13, and May 19 & 20, 2017): Stay FRIDAY and SATURDAY nights in ANY KING SUITE; Dine at Alexander’s with a $50 Gift Certificate; Enjoy a Lautenbach’s Wine & Cheese Basket; and Use your $25 DCVB Certificate at any participating merchant! A $439 value for just $339! Experience Group Travel at the Homestead: Make the Homestead Suites the spot for your next get-together! We offer discounted rates in our quiet seasons, and many of our guests return year after year. Stay at the Homestead for your next: Family Reunion, Fishing Trip, Door County Wedding, Girls’ Weekend, Business Meeting or Seminar, Church or Fellowship Retreat, or Silent Sports Outing. You can even reserve our Conference Room where you can sit by the fire, play cards or watch the big game! Putt-Putt Package: A package for the entire family to enjoy! You will receive a two night stay in a one bedroom or two bedroom suite and passes to The Red Putter, a putt-putt course within a half mile of The Inn at Little Sister Hill. Also, during your break from playing putt-putt enjoy an ice cream treat at Grasse’s Grill with your $10 gift certificate. Please call for availability and pricing! Tannenbaum Holiday Shop Package Celebrate… all season long: Come for a two night stay in a one or two bedroom suite and stop at one of Door County’s most revered shops – Tannenbaum Holiday Shop. They carry unique gifts and collectibles for all seasons! Upon arriving at The Inn at Little Sister Hill, you will receive a $20 gift certificate for the Tannenbaum Holiday Shop to be used at the Landmark Church location in Sister Bay. After shopping, stop by Grasse’s Grill and enjoy lunch or dinner with your $15 gift certificate. Please call for availability and pricing! 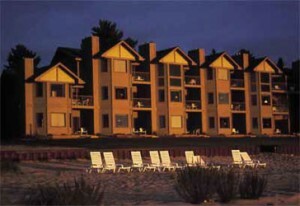 Newport Resort in Egg Harbor has rooms available for your dates. 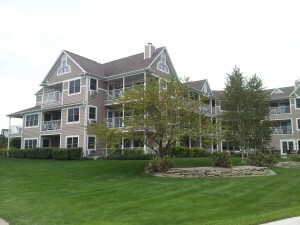 Located in Egg Harbor near many of Door County’s shops, restaurants, scenic parks and a variety of attractions, Newport Resort offers one and two bedroom suites featuring whirlpools, fireplaces and kitchens. Book one of our Packages to enhance your stay! Season of Blossoms Package (April 8 – June 4, 2017 *excludes Memorial Day weekend): Come explore our picturesque peninsula as the spring blossoms explode. Enjoy a two night stay in one of our amazing suites featuring fireplaces, whirlpool tubs and full kitchens. Newport Resort offers indoor and outdoor heated pools, sauna, fitness center, picnic and grilling areas, continental breakfast and much more. Create your own special tour of Egg Harbor, relax and enjoy a meal at with a $30.00 gift certificate to your choice of one of the following restaurants: Casey’s Smokehouse, The Village Cafe, The Bistro at Liberty Square or The Log Den. Visit all the unique shops and find a special treasure while shopping with your $25.00 Door County Gift Certificate. AND, take long your $15.00 gift certificate to the Harbor Ridge Winery – A winery … a cheese shop … a soap shop … genuine, hand-crafted products born out of passion. Coupled with skill and wherewithal, they bring you “the uncommon” in what you taste and feel. Call for package rates for the dates you wish to stay! 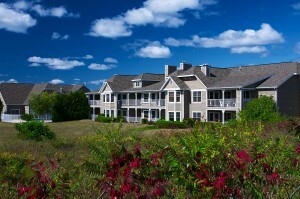 Spring Break “Newport Resort Style” Package (Valid March & April): Treat your family to a get away at Newport Resort. Enjoy the fun, warmth and relaxation our large pool and play area offer. Enjoy FREE movie rentals on the 37″ flat screen television that are now in the living area of your suite. Bake PIZZA, turn on the fireplace and challenge the family to a checkers tournament (you take home the Checker game) while cookies bake in the oven! Included with this two night package – one frozen pizza, cookie dough, a checker game and free movie rental. Call for Package price. Easter Weekend Get-A-Way: Each Child receives a Easter Basket. Even those young at Heart will have a visit from the Easter Bunny. Join in the JELLY BEAN Counting Contest. Hunt for Easter Eggs on Saturday, April 15th at 1pm. Golf Package: Two night lodgings, a weekday round of golf with cart for two at Peninsula State Park Golf Course; a, $25.00 Door County Gift Certificate and a $40 dinner Gift Certificate to either Chop, Lure, Alexander’s Restaurant or The English Inn Restaurant. Package Prices start at $282.00 plus applicable taxes based on off season weekday rates and depend upon your room selection. Additional night stays will be given at a 10% discount. Dinner and a Play Package: Two night lodgings, two tickets to Peninsula Players Theatre, two gourmet box dinners, $25.00 Door County Gift Certificate and a $40 dinner Gift Certificate to either Chop, Lure, Alexander’s Restaurant or The English Inn Restaurant. Package Prices start at $283.00 plus applicable taxes based on off season rates and depend upon your room selection. Additional night stays will be given at a 10% discount. Family Fun Package: Start your Door County family vacation out right, enjoy a two night stay and receive park passes to Peninsula State Park, a $10.00 coupon to Door County Ice Cream Factory, a $10.00 coupon to Joe Jo’s Pizza, a coupon for a round of mini-golf at the Red Putter and a $50 coupon for either Peninsula State Park Segway Tour or Gravity Trails. Prices are based on a family of four and start at $254.00 plus applicable taxes based on off season rates. Additional night stays will be given at a 10% discount. 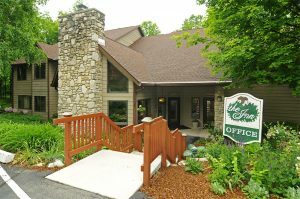 Open Hearth Lodge in Sister Bay is located on 6.5 acres of scenic Door County open space with landscaped lawn, rural meadows and young forest. Offering King Whirlpool rooms, Lodge Rooms, and the Evergreen Suite (perfect for larger groups). Spring Fever Nature Package (Valid April 21 – June 7, 2017): Seasons are changing. The fresh air of the outdoors is calling. Welcome spring in Door County. Included is a map of blossoms and blooms with a State Park Admission sticker that will start you on your adventure. Pick up box lunches or dine in with a $25 gift card from Julie’s Park Café, a Picnic blanket is included. Enjoy a game of mini golf at the Red putter. You will receive a $25 Door County Gift Certificate that can be used however you choose – shopping, restaurant, farm market, winery… Return to the lodge to relax, swim or watch a movie. Included is the use of a DVD player, a movie and popcorn during your 2 night stay. Rate: Weekends $244 for 2 people in a Lodge Room, midweek $224. Spring Adventure Tour (Valid April 21 – June7, 2017): See the wonders of nature by Segway this spring. This off road adventure is guided by “Segway the Door.” Most choose to glide through Peninsula State Park, but other tours are also available. Training given as needed. Reservations are required. You will receive a $25 gift card to Julies Park Café for a meal as well as the $25 Door County Gift Certificate to use as you choose… Included is the use of a DVD player, movie and the popcorn during your 2 night stay. Rate: Weekends $355 for 2 people in a Lodge Room, midweek $335. Blossom Trolley Tour Package (Valid Saturdays April and May 2017): Guests will partake in Private wine tastings at 2 Door County Wineries. This will be followed by a cozy carriage ride before returning to the trolley to find the peninsulas blossoms, wild flowers and scenic overlooks. Top the tour off with a fabulous lunch at the English Inn. The Saturday Tour is 5 hours. Space is limited so reservations are needed. 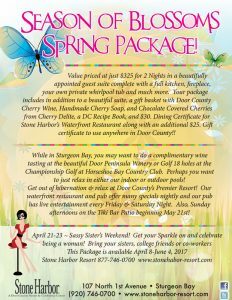 Included in this Package is 2 night stay and a $25 Door County Gift Certificate with the Trolley Tour. 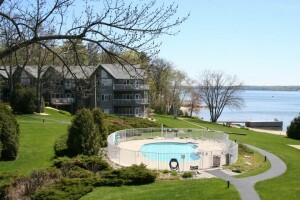 Rate: $315 for 2 people in a Lodge Room, $350 in a Deluxe or Whirlpool Room. Door County Half Marathon and Nicolet Bay 5K (Valid May 5 & 6, 2017): Stay at Parkwood Lodge Fri & Sat May 5th & 6th for two nights and receive a special package price. A Newly Remodeled Deluxe Lodge with 2 Queen Beds: $140.00 + tax for two nights. 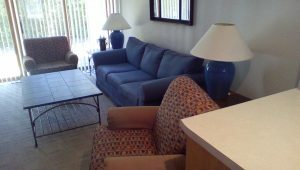 These rooms include ALL NEW plush beds, furniture, carpeting, large flat screen TVs. Other room types available, call for 2 day package price. All rates based on double occupancy, extra adults or children 13 & over stay at a special package price of only 10.00 per person per night. For more information or to get this special rate please call us at our toll free number 1-800-433-7592 this rate is NOT currently available with online bookings. Spring Stay and Play Special (Valid May 7 – June 8, 2017): Stay 2 nights and receive a 10% discount on our already low prices during May and early June. Stay 3 nights and receive a 15% discount. Stay 4 or more nights and receive a 20% discount. Not Valid Memorial Day Weekend. Treat Your Self “ie” This May! Stay with us at Parkwood Lodge in beautiful Door County from May 7th – June 8th, and mention the Selfie Special. Lock in at our already low rates, and receive a Selfie Stick and Picture Frame. Post your images to one of our social media pages, and be entered into a drawing for a 2 night stay for Next May (2018). Take pictures of your adventures, and be rewarded! Not valid Memorial Day Weekend. Spring Season of Blossoms Package (Valid May 7 – June 8, 2017): Enjoy a 2 night spring getaway in Door County at Parkwood Lodge. Upon your arrival receive a welcome basket filled with local Door County cheeses/crackers, juices, chocolates, coffee and 2 winery tour & tasting coupons including 2 keepsake wine glasses from Orchard Country Winery and Market. Do some shopping with a $25 Door County gift certificate, and have dinner next door at the English Inn restaurant with a $50 certificate, all included in your package. After, relax in our spacious indoor pool and whirlpool. This 2 night package is $230 weekdays (Sun-Thur) & $254 weekends (Fri-Sat nights) in our newly remodeled Deluxe Lodge rooms with 2 Queen beds. Please call for package rates on other rooms types. Not valid Memorial Day Weekend. 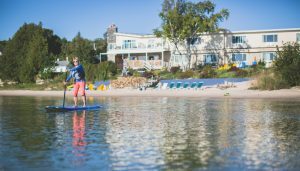 Season of Blossoms Spring Segway Package (Valid May 7 – June 8, 2017): Enjoy a 2 night spring adventure at Parkwood Lodge as you glide through beautiful areas of Door County on a Segway Tour, provided by Segway the Door. This Package includes a 2 hour Segway Tour for 2 quests. Choose from several different tours. Go shopping with a $25.00 Door County Gift Certificate, good anywhere in the County. 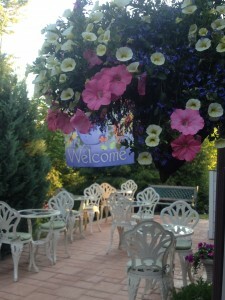 After, have dinner next door at the English Inn Restaurant with a $50.00 certificate, all included with your package. At the end of the day, relax in our spacious indoor pool and whirlpool, and retire in one of our Newly Remodeled Deluxe Lodge Rooms. This 2 night package, including lodging, is $289.00 plus tax on weekdays, and $312.00 plus tax on Weekend. 3 Night Memorial Day Special: Help us start our Summer right! Visit local wineries, breweries, and markets. Celebrate at Maifest in Jacksonport. Enjoy our nice warm pool, firepit, and charcoal grills. $260 plus tax for a three night stay in one of our Newly Remodeled Deluxe Lodge Rooms! Other rooms types available, please call us to recieve this discount. Door County Half Marathon Special (Valid weekend of May 6, 2017): As a lodging sponsor of the Door County Half Marathon, we are offering all runners and their guests a 10% discount off our 2017 rates during the Half Marathon weekend (May 5 -7, 2017), when booking a minimum two night stay. Along with this discounted rate we will include a special gift bag and free shuttle service to and from our resort to the event. In addition, if any runner staying with us finishes in first place in the overall men’s or women’s division, your stay will be FREE! If any runner staying with us finishes second or third in the men’s or women’s division, we will give you 50% off your stay. Please mention this offer when making your reservation. This offer cannot be given in conjunction with any other discounts. The Ridges Inn & Suites in Baileys Harbor has been making improvements all winter including freshly painted guest rooms, new carpeting in nearly all guest rooms and all cottages, new Serta Signature Suite Plush 13″ mattresses and box-springs at the inn, new linen packages, including, sheets, comforters and bath linens, and a brand new highway sign to greet you! 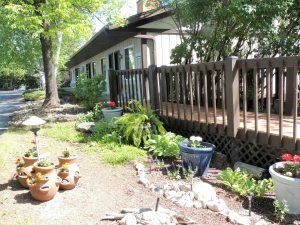 As always, our guest rooms offer you the best of Door County on the quiet side where you can enjoy the surrounding nature of the Ridges Sanctuary and the quaint small town atmosphere of Baileys Harbor. Rooms and suites include Satellite TV, A/C, a private balcony, free Wi-Fi, and some have double whirlpools & fireplaces, private gardens and more. Stay 3 Get 1 Free (Valid April 28 – June 8, 2017): Stay any 3 continuous nights and receive the 4th night free! Internet Only Special (Valid June 9-15, 2017): Get $10 off all room and cottage rates and $20 off all suite rates. Senior Discount for persons over 60 and AAA discounts available if staying 2 nights or more. You Can Always Add More to Your Room (Valid any time of year): When you make reservations, you can add numerous items to your room, so it is a surprise when you walk in the door. Add a bottle of Champagne or a favorite wine, chocolates, flowers or balloons, maybe a gift basket; such as a cheese and wine basket or a famous Door County basket, or just a gift certificate to one of our many restaurants. Memorial Weekend Special (Valid weekend of May 27, 2017): Come celebrate Memorial Weekend with a BANG!! Relax in our indoor pool, whirlpool, and sauna, and if you feel courageous, work out in our fitness center too. Enjoy our 3, 4, or 5 night special rate packages in our Romantic Studio, One or Two Bedroom Condos. Spring Special (Valid in March & April): Enjoy waking to birds chirping out your window and the smell of Door County’s fresh country air when you stay in our Studio, One, or Two Bedroom Condo. This great special is a two, three, or four night getaway, so you can venture out before the crowds come here in the summer. We have bike rentals for your pleasure along with a tennis court and fitness center to get the day going. Starting at $150.00 for 2 nights in a Romantic Studio! Blossom Fest Getaway (Valid in the Month of May): Come to Door County to see the beautiful blossoms! Enjoy the crisp air in the adirondack style chair on your balcony or patio. This special is a two or three night getaway. It’s a great deal, but don’t wait, because it’s only in the month of May!! April Spa Getaway (Valid April 1-30, 2017): $257 1 night Package OR $356 2 night Package. Includes lodging in a Courtyard Room, 2 Refresher Massages and Continental Breakfast daily. Double occupancy. Spring Special (Valid April 1-May 18, 2017): $109/night in a Courtyard Room. Third night $75 when all 3 nights are Sunday-Thursday! Free Continental Breakfast. Double occupancy. Romantic Rejuvenation Package (Valid April 1-Nov. 4, 2017): $748* Includes 2 nights in a Whirlpool Suite, Ultimate Couples Massage in our spa, Bottle of Wine from local winery, $100 dinner gift card, lavender bath salts. Continental Breakfast. Double occupancy. Dining choices include: Alexanders, Glidden Lodge, Mr. Helsinki. *Package price may change. Early Summer Special (Valid May 19-June 15, 2017): $129/night in a Courtyard Room. 3rd night $75 when all 3 nights are Sun-Thurs (Excludes Memorial Weekend). Free Continental Breakfast. Double occupancy. Create a Package~ Don’t see what you’re looking for? We can help you create a package with our spa services and these vendors: Alexanders Restaurant, Mr. Helsinki Restaurant, Donny’s Glidden Lodge Restaurant, Blue Horse Bistro, The Cookery, Segway Tours, Door County Trolley Tours. Sister Bay Inn is located just outside of Sister Bay, and has been recently updated by new owners. Affordable and friendly, close to town, and open year round, make Sister Bay Inn your home port when visiting the peninsula. 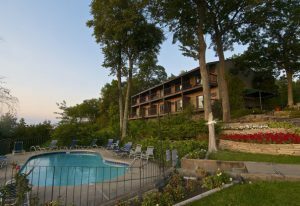 After a day of exploring Door County’s many attractions and scenic views, come back to the Inn and enjoy a relaxing swim in our heated outdoor swimming pool, or bubble your cares away in our heated outdoor whirlpool tub. Each room offers your choice of two Queen beds or one King bed, a private bath with a shower, cable color flat-screen TV, free Wi-Fi, an in-room phone, a small refrigerator, coffee maker, and individually controlled heat and air conditioning. Some rooms also have a private patio or balcony! Spring Mid-week Special #1 (Valid March 6 – June 21, 2017): Arrive Sunday thru Tuesday & stay 2 nights for $289* (any room) plus receive a $75 gift certificate to your choice of the Chop or Lure Restaurant. This offer is not available online. Call us at 920-854-4242 to get this deal! Spring Mid-Week Special #2 (Valid March 6 – June 21, 2017): Stay 2 nights for $209* (any room) plus receive a $25 gift certificate to Al Johnsons Swedish Restaurant. This offer is not available online. Call us at 920-854-4242 to get this deal! Season of Blossoms Spring Package: Value priced at just #325 for 2 nights in a beautifully appointed guest suite complete with a full kitchen, fireplace, private whirlpool tub, and more. Includes a gift basket with Door County Cherry Wine, Handmade Cherry Soap, and Chocolate Covered Cherries from Cherry Delite, a DC Recipe Book, a $30 Dining Certificate for Stone Harbor’s Waterfront Restaurant, and a $25 Gift Certificate to use anywhere in Door County! Golf Package: Stone Habor Resort & Horseshoe Bay Golf Club have partnered to offer a one-of-a-kind guest experience. While staying at Stone Harbor, experience the tradition of Horseshoe Bay Golf Club with superior service and playing surfaces for an unbelievable price of $99 (original value $193) per golfer. Includes 18 holes and golf cart. Rental clubs FREE upon availability. Schedule your tee time up to 30 days in advance! 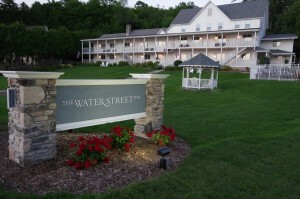 The Water Street Inn in Ephraim has rooms available for your stay. The Inn features rooms with one King or 2 Queen beds, some with sofa sleepers – all with water views, WiFi, iphone docking stations, 42” smart TVs, Keurig coffee makers and refrigerators, and walk-in tiled showers. Stay a Free Night (Valid May 4 – June 11, 2017): Stay for 2 nights at regular price and get an additional night on us! Free night excludes Friday and Saturday or Holiday Weekends. Guest must mention this special at the time of booking your reservation. Season of Blossoms (Valid April 8 – June 4, 2017 *except May 26-28): Enjoy a two night stay in a water-view suite. When you arrive, you will receive a gift certificate good for a winery tour at Door Peninsula Winery and while you are there, you will receive a bottle of wine and two wine glasses. You will also receive a $25.00 Door County Visitor Bureau, a $40 gift certificate good towards dinner at The Nightengale Supper Club and a bouquet of flowers in your suite. Call for current pricing. Two night stay required. Baby-moon: Enjoy a get away before your baby arrives. When you arrive you will receive a $20 gift certificate to the Frozen Spoon Yogurt Shop in Sturgeon Bay, a basket in your suite with Sparkling cider and two wine glasses, and a $50 gift certificate toward services at Saguaro Day Spa. Call for current pricing. This can be added to any reservation. 48 hours notice for this package. Mini-moon: Relax with your significant other before your big day. When you arrive, you will receive a $30 towards dinner at the Nightengale Restaurant in Sturgeon Bay. (They are closed on Sunday so we will subsitiute the gift certificate with a Door County Visitor Bureau gift certificate). You will have a bouquet of flowers and a bottle of wine and cheese in your suite. You can choose either white or red wine. Call for current pricing. This can be added to any reservation. 48 hours notice required.